At Johnny's Backyard, we take the play business seriously. Because, for kids, play is serious business. Play is crucial to a child’s cognitive, physical, emotional and social development. 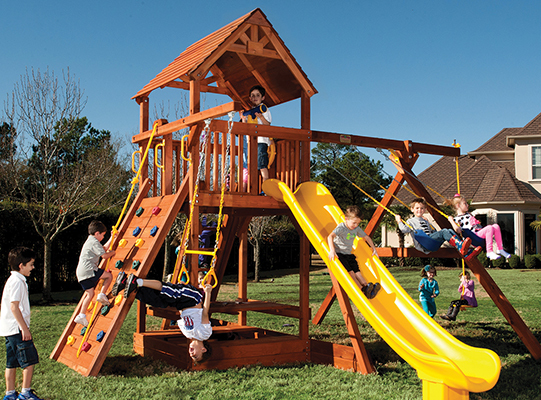 Tree Frogs swing sets ensure that the important function of play will always be fun! 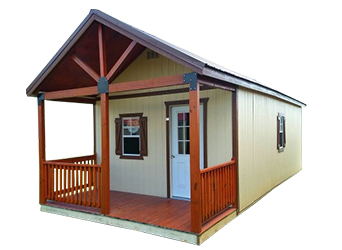 For 6 years, Johnny's Backyard has been providing top-quality backyard playsets, sheds, barns, cabins and carports for the San Antonio and surrounding Communities. We are an authorized dealer of Treefrog, Lelands Buildings and Stallion Carports, yet we are a locally-owned business. 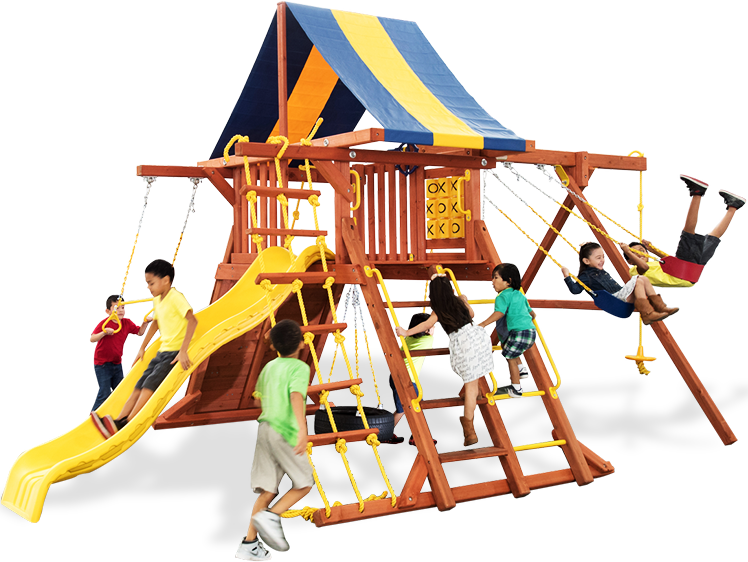 Let us discuss your needs and let our team find the perfect playset or structure for your family. We service San Antonio, Boerne and South Central Texas. Call now for a FREE Catalog!! 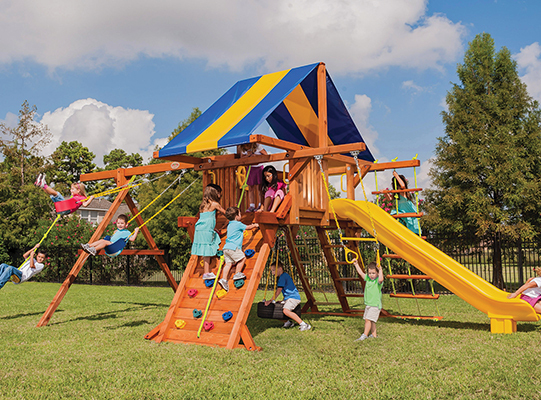 Johnny's Backyard is the local Authorized dealer of the Tree Frogs swing set line which are built with chemically free, natural premium lumber which come from certified mills that have sustained yield forest management. Both redwood and cedar are naturally resistant to insects, decay and unlikely to warp or twist. 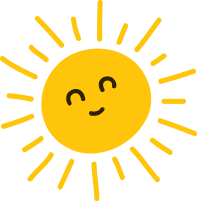 And, because all of our lumber is chemical free and from sustainable forests, it’s not only healthy for families but the world in which they play. 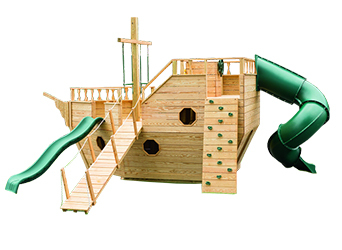 Designed for years of birthday parties, play dates and backyard family fun. 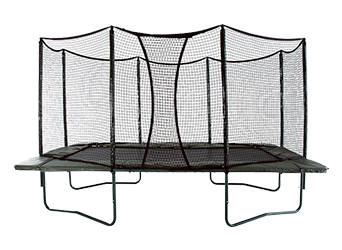 Tree Frogs swingsets are built to last with a solid warranty to back them up. 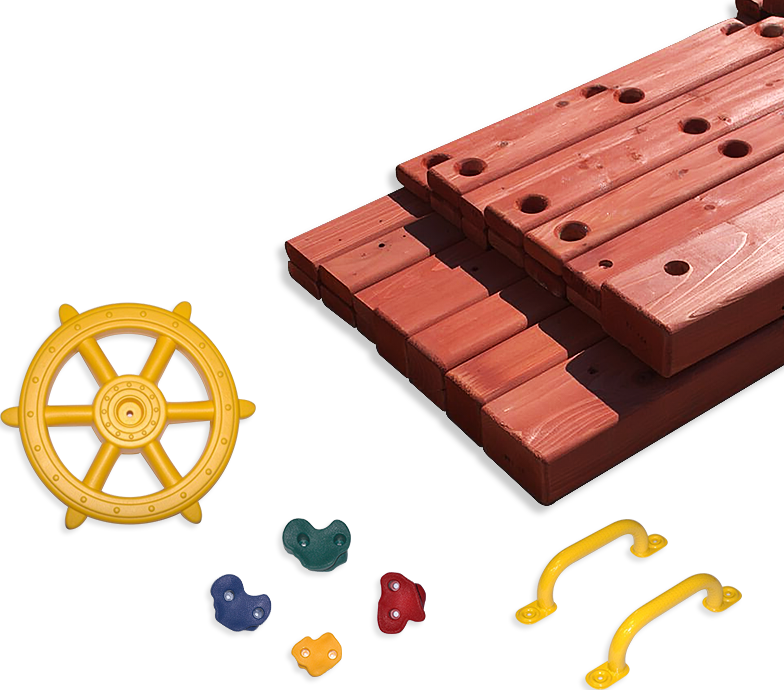 Check out the map and visit Johnny's Backyard San Antonio for affordable, high-quality buidlings, playsets and metal structures. You can count on us to build something custom to fit your needs.